The member of Ukraine’s Verkhovna Rada Nadiya Savchenko intends to return to work in the Parliament on April 23, as the Chairman of “Public political platform of Nadiya Savchenko” political party Tetyana Protochenko, as Ukrainian News reported. “Speaking of her health, Nadiya is “unbroken”. She will return to work right away,” the message says. Earlier, Brovarsky District Court of Kyiv ruled to release Volodymyr Ruban and Ukrainian MP Nadiya Savchenko. Earlier, Darnytsia District Court of Kyiv satisfied the recusal of the panel on April 10 and now the case of Nadia Savchenko and Volodymyr Ruban will be sent to Kyiv Appeal Court. Yuriy Lutsenko, Prosecutor General, claimed that he had proof that Savchenko planned an armed coup d'etat, which would have led to mass civilian casualties. In particular, according to the information of the Prosecutor General's Office, she planned to shell Kyiv with a grenade launcher. Furthermore, together with earlier detained Volodymyr Ruban she is suspected of an organization of assassination of Ukrainian President Petro Poroshenko. As we reported earlier, Savchenko took a polygraph testing. The Security Service of Ukraine claimed that the psychological forensic examination with the use of the polygraph of MP Nadiya Savchenko confirmed her intentions of committing the coup d'etat, particularly the commitment of the terrorist act in the governmental quarter and the Ukrainian Parliament. 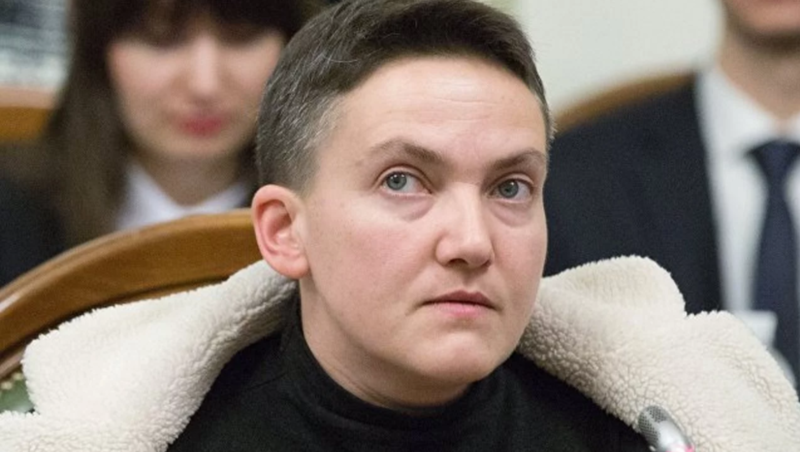 December 13, Kyiv Court postponed the consideration of Savchenko’s case due to her bad state of health. Savchenko stated that she had partial loss of hearing and vision.